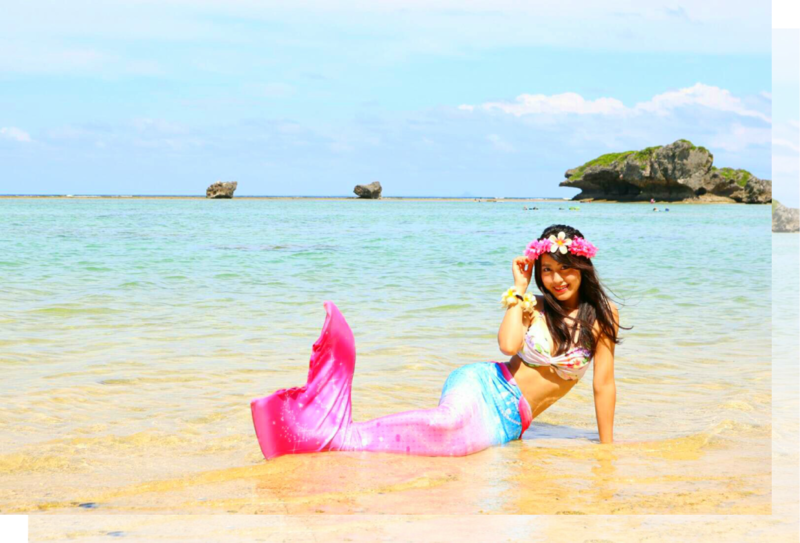 We will take the special photographs of your Okinawa vacation in the beach near Blue Cave. 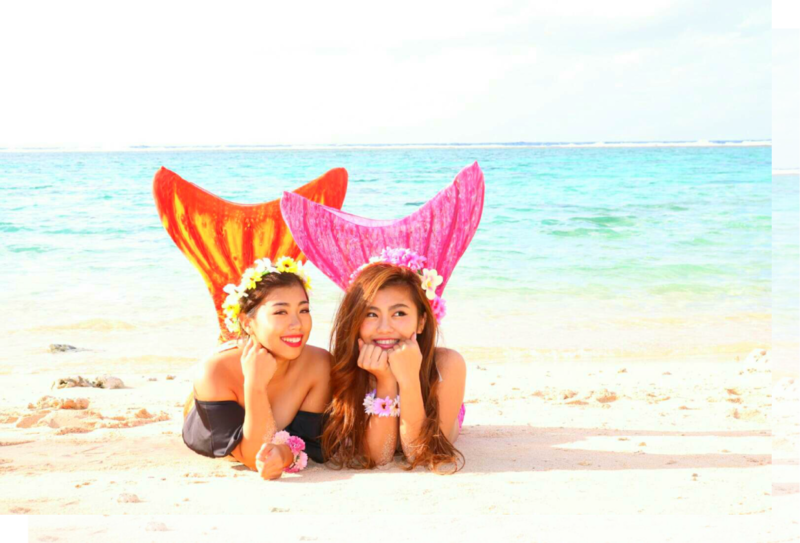 人魚の衣装で撮影します。 We will take your photographs wearing a mermaid costume. 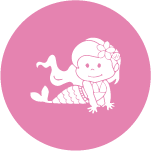 Beach51では人魚の衣装で撮影が可能です。 You will be able to take photographs in costume of a mermaid at Beach51. 沖縄旅行の特別な一枚を、お客様にお届けします。 We will supply you with special travel photographs in Okinawa. 衣装のレンタルができます。 Costumes for rent are available. 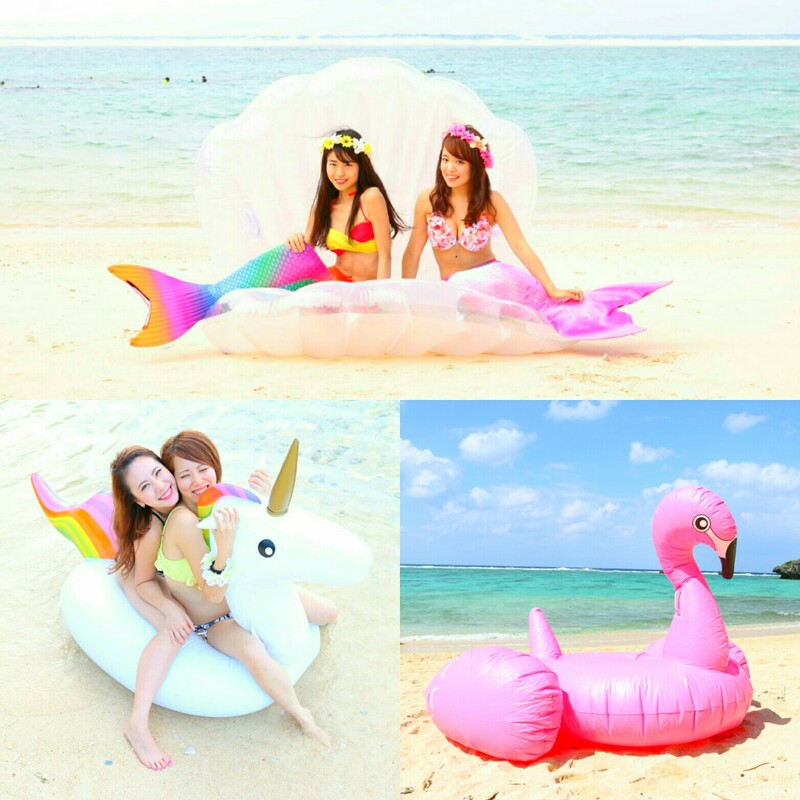 マーメイドの衣装は当店でご用意しております。 We have mermaid costumes for rent. 当日は水着を着用してお越しください。 Please visit us wearing swimsuit on the appointed day. データはその場でお渡しできます。 We can hand the data over on the spot. 当日すぐにSNSへ投稿することができます。 You can post photographs on SNS soon on the day. 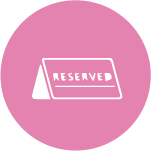 Beach51 is reservation-only. Please contact us before visiting. We will rent costumes to you. The time for shooting photographs is about one hour.You can shoot all you want within the time. 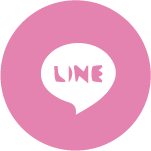 LINEでお渡し You can receive it by line. We will hand the photographs that we take by LINE. Beach51の綺麗な海と沖縄タイムをぜひ体感してください Please try to experience the Beach51's beautiful sea and have a good time in Okinawa. 犬達もお待ちしております We always welcome your dogs too. 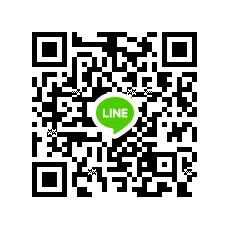 Applications are accepted by phone, LINE and the following reservation form. We will accept reservations by message until four days before the appointed day. After that date, we only accept your contact by phone. 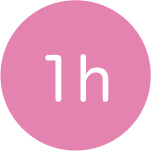 We will confirm your reservation by Email or phone if you contact us within 24 hours. Please remove "info@beach51.com" from the spam list. If you can't come on the day, be sure to let us know by the previous day. If you cancel on the actual date, a payment in full as a cancellation fee will be charged. ご入力頂いたお客様の個人情報は、対応上必要な手続きにのみ使用させていただきます。Personal customer information will only be used for the job-related procedure.これらの個人情報は、事前にお客様の同意なく第三者への開示・提供はいたしません。We will never disclose and offer the customers' personal information to third parties without agreement.